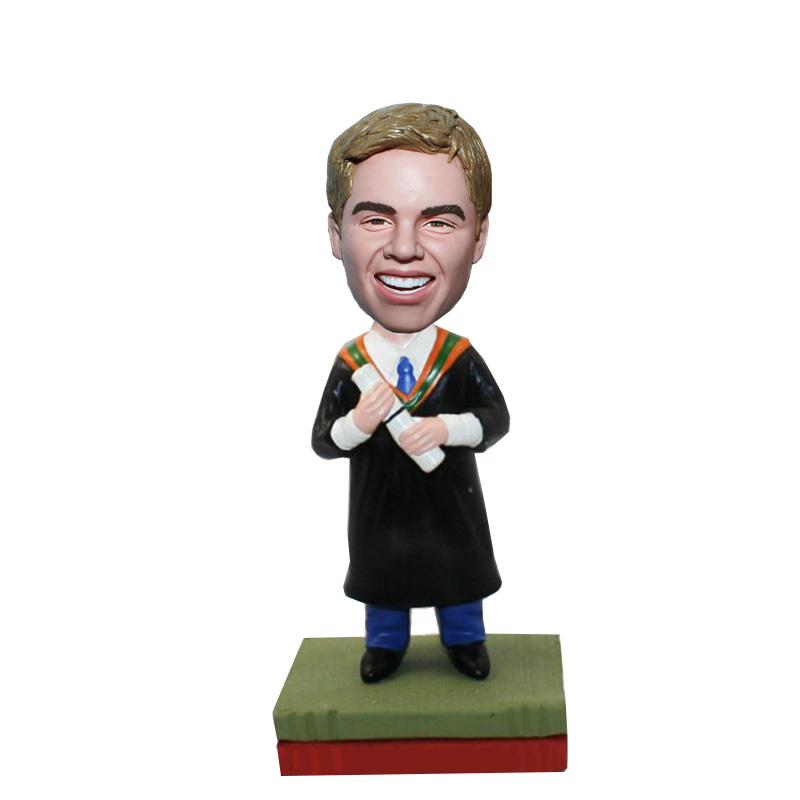 Dressed for graduation in a gown, this custom boy bobble head doll is clasping its diploma in its hands.This customized bobblehead can help to express your feelings for your graduated boy or friend. It's perfect to show how much you're proud of him. 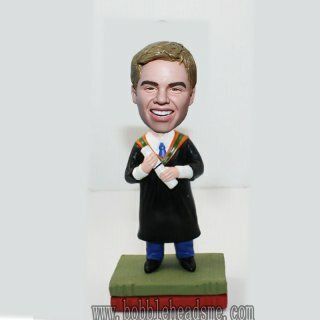 Our top level details will make it as a "spot-on".